The House and Senate released their versions of the State budget on Sunday, February 3rd. Between the House and Senate budget recommendations, all mental health budget requests advocated for were included. 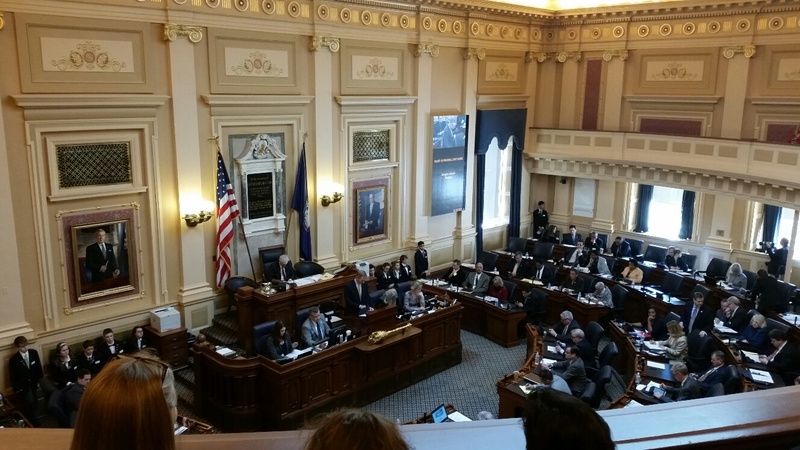 We are thrilled that both House and Senate prioritized STEP-Virginia, focused on mental health workforce needs and included specific amendments that would improve mental health access to children like the Virginia Mental Health Access Program. Some key differences in the House and Senate budget proposals are described below. Outpatient Services: The Senate included an additional $5 Million GF/Yr to build out outpatient mental health services at all 40 community services boards. This amendment is in addition to the $15 Million the General Assembly invested last yr to the biennium budget, bringing the total to $20 Million per yr for Outpatient services. To build a full continuum of mental health care, it is essential that Virginia expand the capacity and accessibility of outpatient treatment services for children and adults. The House did not include additional funding for outpatient services. Crisis Services: The Senate included $3 Million GF/Yr to improve children’s crisis services for children with developmental disabilities and co-occuring behavioral health support needs. The House designated $8.8 million from the general fund the second year to accelerate the provision of crisis services for adults and children at the Community Services Boards pursuant to the STEP-VA process. Legislation passed in 2017 requires the implementation of crisis services to being in fiscal year 2021. The Senate included an amendment providing a total of $7.2 Million ($2.6M GF & $4.5M NGF Federal matching funds) to increase the Medicaid rates for licensed mental health professionals. Current Medicaid reimbursement rates for mental health services provided by a LMHP are significantly lower than Medicare and commercial insurers. Given the critical shortage of LMHP in Virginia, increasing Medicaid reimbursement rates for LMHP may incentivize providers to accept additional Medicaid patients and ensure access to specialized mental health services. The House did not include funds to support an increase in Medicaid reimbursement rates in its budget. We are pleased the House and Senate retained the governor’s proposed funding ($1.23 Million GF/year) to build out the Virginia Mental Health Access Program. Collaborative pediatric programs like the Virginia Mental Health Access Program are a promising approach used in 30 states that improve access to treatment for children by making child psychiatry services accessible to pediatricians and primary care physicians. The $1.23 Million will allow VMAP to begin the process of expanding state-wide. We are pleased the House and Senate retained the governor’s proposed funding ($850,000 GF) to develop step-down services for children ready for discharge from the Commonwealth Center for Children and Adolescents.